For the first time, the complex codicological history of this manuscript is unravelled and the importance of its many revisions examined. The first compilation was originally much larger, as can be attested by earlier foliations and over 90 capital letters cut from it, to be pasted into the later form of the book that we now have. 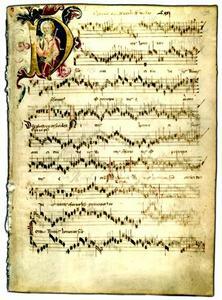 Fragments of music on the backs of these letters attest an earlier dating for compositions only known from later copies, sometimes in different versions. About 200 folios were discarded, and replaced by new repertory and by pieces recopied from the older book. The manuscript thus now embodies two overlapping, superimposed anthologies, with a third of their physical material in common, and perhaps half their repertory. Far-reaching conclusions can be drawn about the scribe's changing tastes at all levels, from repertorial to notational. 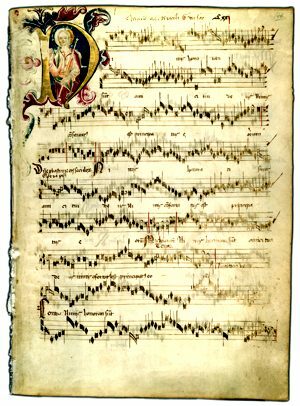 He discarded some motets, but retained the verbal texts of occasional pieces for dead doges and bishops, while updating them musically. Inferences about what he rejected, and what and how he recopied or changed, bear upon future repertorial study in general, and the evaluation of, for example, contratenor parts and the pairing of Gloria and Credo movements in particular. These findings are especially important for Du Fay, to whose new work the compiler seems to have had prompt access over a long period.